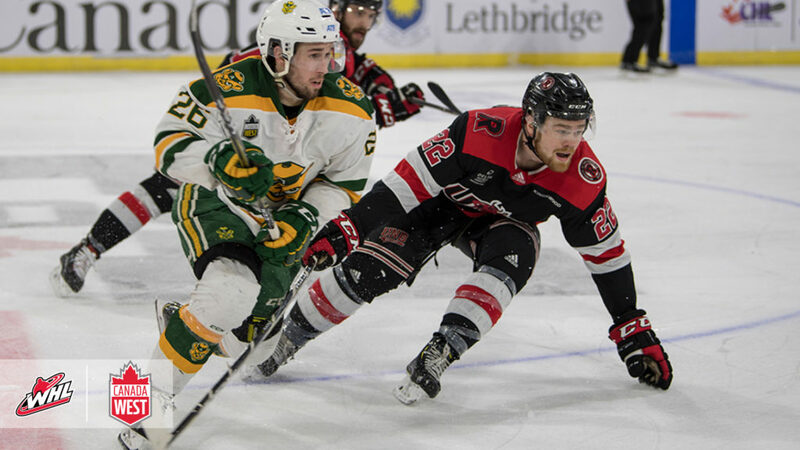 Thirty-three Western Hockey League Alumni are leaving the 2019 U SPORTS Cavendish Farms University Cup with a medal around their neck. The largest contingent of WHL Alumni to earn a medal were on the University of Alberta Golden Bears, who won silver. The Golden Bears fell 4-2 to the University of New Brunswick Varsity Reds in the championship after winning their first two games at the tournament. Mark Rassell (Calgary, Alta. / Medicine Hat Tigers) and Brandon Magee (Edmonton, Alta. / Victoria Royals) were named the Players of the Game for their respective sides. The tournament All-Star Team had a strong WHL contingent as Luke Philp (Canmore, Alta. / Red Deer Rebels) and Jason Fram (Delta, B.C. / Spokane Chiefs) were named to the six-man list. In addition to Rassell, defenceman Joe Gatenby (Kelowna, B.C. / Kamloops Blazers) as well as goaltenders Rylan Parenteau (Saskatoon, Sask. / Tri-City Americans) and Luke Lee-Knight (Calgary, Alta. / Tri-City Americans) won gold as part of UNB’s roster. Earlier in the day, a trio of WHL Alumni won bronze with the Saint Francis Xavier University X-Men. Earning a U SPORTS medal were defencemen Cole MacDonald (Wetaskiwin, Alta. / Everett Silvertips) and Mitchell Wheaton (Sherwood Park, Alta. / Brandon Wheat Kings) as well as forward Matthew Needham (Kamloops, B.C. / Kamloops Blazers).